Sports injuries occur when playing indoor or outdoor sports or while exercising. Sports injuries can result from accidents, inadequate training, improper use of protective devices, or insufficient stretching or warm-up exercises. 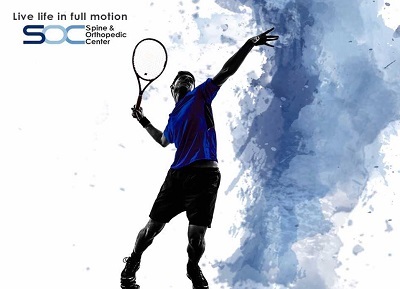 Spinal injuries are common injuries that may occur while playing. The most common symptom of spinal injuries is pain. Some injuries may damage spinal nerves that may cause inflammation, loss of muscle control and loss of sensation. Symptoms may proceed to paralysis, limited movement, and immobility. Workplace injuries are diagnosed using X-rays, computed tomography (CT) scans, and magnetic-resonance imaging (MRI) scans.